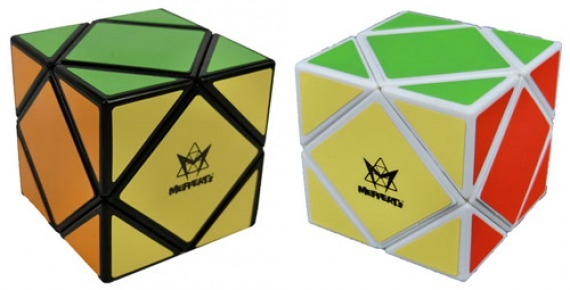 We are pleased to being you our new modified Skewb cube for Speed-cubing which has a new double foot for each of the 6 centre pieces to eliminate popping during very fast turns. This will initially be a limited production run as this is a specialised item however if you missed out please don’t hesitate to state your interest as we will make more if the demand is high enough. There will be a special unboxing this weekend of this iconic puzzle which has now been added to the WCA official competitions, by Tony Fisher UK, Dan Fast Canada, Patryk from Poland and Miguel from Spain, unfortunately Kenneth Brandon USA, can’t join the unboxing team this weekend as his wife just had a baby, let’s all wish Kenneth and his wife all the very best for this latest addition to his family. The Skewb cube is having its debut at the Rubik’s cube European Championship being held in Denmark August 8th to 10th of which we are a Sponsor and giving one free Speed-cubing Skewb to every one of the 120 people who have registered for the Skewb event and use it for the competition.